The City of Baltimore is committed to directly including minority business enterprises throughout the life cycle of the Port Covington Development Project. At 235 acres, Port Covington is one of the largest urban revitalization efforts in the United States and the redevelopment of Port Covington will have a fundamental and far-reaching positive impact on Baltimore, its economy, and its future. 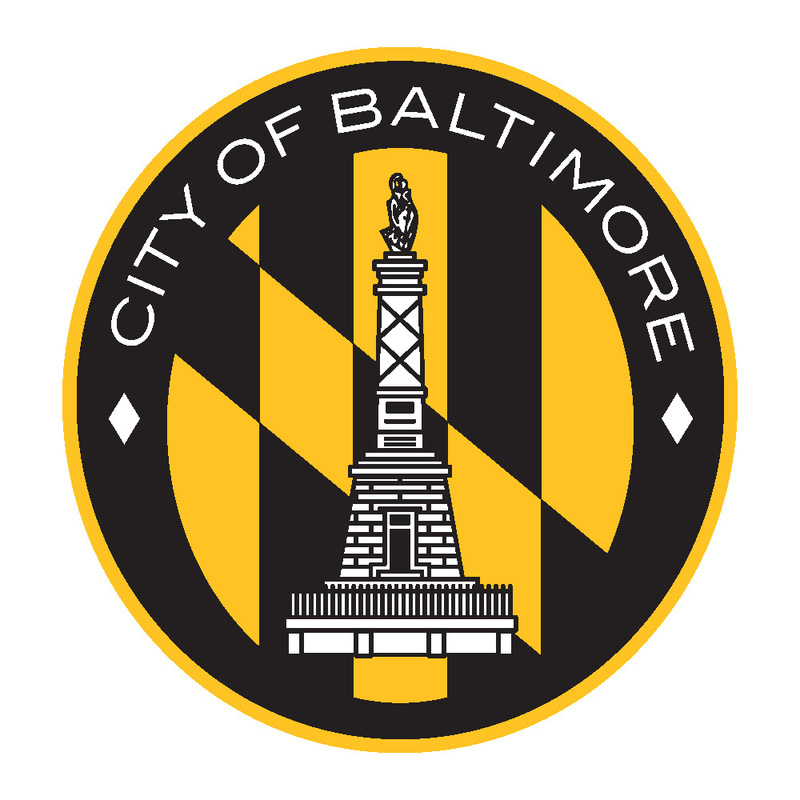 To achieve this goal, the Mayor’s Office of Small, Minority and Women Business and the Port Covington Development Team are partnering to implement the Baltimore City Mentor Protégé Program which aims to accelerate business activity among government, developers and Minority and Women-Owned Enterprises (MWBEs) who are certified with the City of Baltimore. By participating in this program, selected Protégés will receive technical and management assistance by industry leaders in order to grow their business, build new professional relationships, achieve project success and access future opportunities. The primary purpose of the Baltimore City Mentor-Protégé Program is to establish a link between small, minority, and women-owned firms (Protégé’s) with well-established and successfully-operated private sector businesses (Mentors). Mentors are prime contractors and leaders in their respective industries. This linkage or mentor/protégé relationship can provide the smaller firm with necessary guidance and the benefit of experiences in areas such as management consulting, marketing, technology, financial, legal, and accounting. These benefits are keys to increasing revenues, profitability, capacity and access to procurements. The objective of a Protégé firm is to perform profitable work while being advised, observed, and assisted within the guidelines of the Baltimore City Mentor- Protégé Program. The Baltimore City Mentor-Protege Program: Port Covington will be implemented first during the Chapter 1 B Infrastructure phase of the development project. This cohort specifically targets firms who specialize in the services required to fulfill the Chapter 1 B Infrastructure Scope of Work including: earthwork and grading, wet utilities, dry utilities, and tradeswork. Whiting-Turner is the awarded Prime Contractor for Chapter 1 B Infrastructure and the designated Mentor. We look forward to receiving your application, and would like to highlight that participation in the Baltimore City Mentor-Protégé Program is voluntary and submitting an application is neither a guarantee of a contract opportunity nor a promise of business. This mentor/protégé relationship will be administered by the Port Covington Project Team with oversight led by the Mayor’s Office of Small, Minority and Women Business. 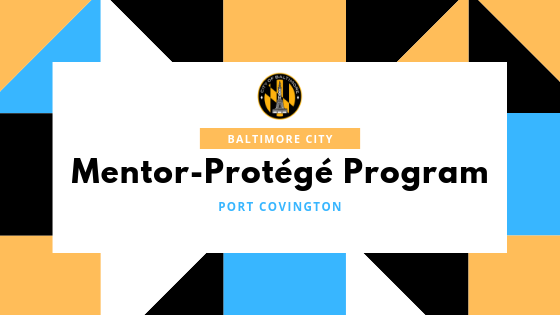 The Baltimore City Mentor- Protégé Program application deadline is Tuesday, April 30th, 2019. Click here to apply online. Click here to download a copy of the application. Completed hardcopy applications can be mailed to: Mayor's Office of Small, Minority and Women Business, Baltimore City Hall Suite 345, Baltimore, Md. 21202. If you have additional questions, we welcome you to contact the Mayor's Office of Small, Minority and Women Business for Assistance at +1 (410) 396-3818. NOTE: All Port Covington Development opportunities are publicly posted on the Port Covington Development website. Learn about existing contract opportunities and register to receive updates about new opportunities.